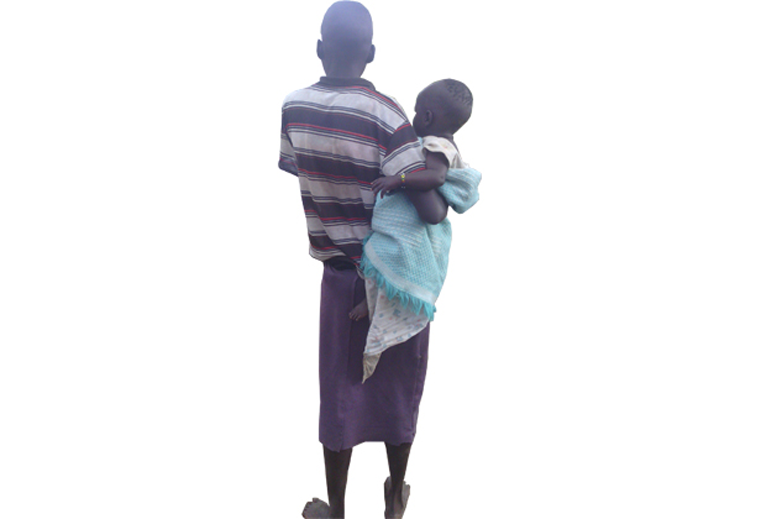 Cases of girl victims of the nodding syndrome being defiled have raised deep concerns with local authorities and residents of Burlobo parish in Angagura Sub County, Pader district. During their Task Force visits to affected areas, district officials were shocked to hear vile cases of abuse and defilement from parents, who say that there is not enough being done to protect the victims. One mother, whom we shall not name for legal reasons) told the team that she was unable bring her daughter to the meeting because she was weak and unable to walk, having given birth a week ago. ‘‘The father (of the victim) died of HIV/AIDS and when I remarried, I never wanted to move to another home so my new husband started living with me, but instead when I went to the garden he raped my daughter who was only 14 years by then,’’ the distraught mother said. “As a result, my daughter is currently infected by HIV and at the same time suffering from nodding syndrome, doctors have recommended Aspirin and other medication,” she added. According to CARITAS, the Catholic NGO that is working with affected families, they are working with residents to form groups who will be able to monitor and address any safeguarding issues. Susan Auma Adong, a CARITAS Social Worker, says that they have formed over 30 village groups and they assist these groups with loans and community saving, they have distributed seedlings to them and they are urged to cultivate in shifts so that their children are never left alone. “We are encouraging the group members to have kitchen gardens as a measure of addressing food shortages and balance diet to the victims, since it’s hard to take drugs on empty stomach. All group members have each been supplied with a bag of sim-sim and bean seeds, shs250,000 as start-up capital, a cash box in which to keep any savings, books and calculators,” Adong said. Another orphan victim of the nodding disease aged 15 and whose parents died from the camps has also been left holding a five months baby, having been raped. The minor says that she was living with relatives in Lacekocot when she was sent to the nearby shop to buy some items and as she moved along the bushy roads, a young man way laid her and raped her. She says that she was taken to a nearby health centre but they came back home without any clear information. “The relatives of my father abandoned me and my sister a long time ago, we have nowhere to go so we are being looked after by a village health team official,” she said. The minor says that all she wants is for a good Samaritan to build her a thatched house and she is capable of looking after herself and her sister, who also has nodding disease. “I appeal to government to look after my baby in a orphanage until my condition gets better, then they can give the baby back to me because I will know that I am well enough to look after it. At the moment when the sickness strikes, I am unable to breast feed, on top of that, we go without food most of the time,” she narrated. Available figures suggest that the number of children suffering from the nodding syndrome in the four Sub Counties of Awere, Angagura, Atanga and Laguti; currently stands at 2,000, a further 700 are affected with epilepsy. Mark Okot, the Program Officer for CARITAS handling nodding syndrome in Pader, said that they are not able to operate in the whole district due to financial constraints and that there are other Sub Counties which have been left out, and yet the prevalence of nodding syndrome is very high. He explained that children who have been taking their medications and have been receiving a more balanced diet are experiencing improvements. “This is unlike in the past where the syndrome was uncontrollable, conditions of the children are much better than it was in the past but more drugs and supplementary feeding need to be availed,” he said. The LCV Chairman for Pader Mr Alfred Akena said that they are conducting monthly outreaches in the affected areas so that families with victims are able to come together help one another and also to send the message that anyone caught defiling or abusing victims, will be severely punished under the law. Akena noted that the district is faced with challenges when it come to the documentation of victims, because in most cases parents don’t want to reveal the conditions of their children to the village health teams and whenever the child dies, no information is given even at the local council level. “So the actual accurate figure is not known because some have died without ever having been known about or recorded. We are in the process of developing a data base which will contain the actual figures of children who have died and those surviving with the disease,” he said. Akena revealed that as a district, they are set to distribute Ox-ploughs allocated under the PRDP program to families affected by the nodding syndrome so as to improve on livelihoods and food security. The Resident District Commissioner (RDC) Justine Lungajole, however said that it was a failure on the part of district officials, not to put in place intervention measures designed at rescuing the situation of children affected by nodding syndrome. He noted that Pader district had an ambulance which had broken down but was only rehabilitated when the president visited the district, which suggests that district officials are not doing much to contain the syndrome and apprehend those abusing the young’s girls. The RDC further revealed that over shs40 million which was released by the Ministry of Health towards the nodding the disease has never been used and yet the children affected need services to be provided to them. He said that the government should not be blamed for not doing enough and yet it is the local leaders who don’t have the heart to take care of the victims. “With new findings from the Centre for Disease Control in Atlanta, USA suggesting that crystal like substances can be seen in the brains of victims, it could be a milestone in discovering what causes the disease and its probable cure can be discovered,” the RDC said. But as the years pass by, coupled with the lack of information on the ground, the challenges faced by the victims, especially girl’s, will most certainly degenerate.